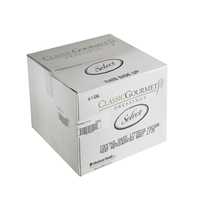 Minor's Beef Demi Glace Gluten Free is flavorful blend of reduced beef stock, tomato and onion. Create different flavor profiles by adding ingredients to the prepared Beef Demi Glace. Add Madeira wine for a Madeira sauce; Burgundy wine for a Burgundy Sauce; red wine, butter and chopped rosemary for a Rosemary Demi; mushrooms, shallots, white wine and tomato sauce for a Chasseur Sauce; white wine, onions, mustard and butter for a Mustard Sauce. The possibilities are endless. Pack size is 4 tubs at 5lb each tub. No Artificial Colors. 0g Trans Fat per serving. No Added MSG*. 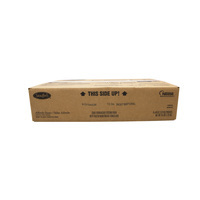 *This product contains free glutamates from ingredients such as tomato and yeast extract. Product is a base for a variety of sauces. 1. Heat - Do not microwave unopened bag. 2. Add key ingredients for embellishment. 3. Plate and serve. 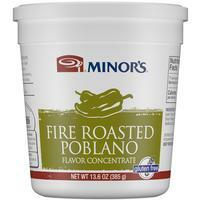 Minor's is trusted by chefs with a rich heritage of bringing flavor to dishes and supporting the chef profession. Minor's continues to pioneer innovation in foodservice as a full provider of flavors and foundations from bases to ready-to-use sauces. Product is a base for a variety of sauces. Create different flavor profiles by adding ingredients to the prepared Beef Demi Glace. Add Madeira wine for a Madeira sauce; Burgundy wine for a Burgundy Sauce; red wine, butter and chopped rosemary for a Rosemary Demi; mushrooms, shallots, white wine and tomato sauce for a Chasseur Sauce; white wine, onions, mustard and butter for a Mustard Sauce. The possibilities are endless. Heat - Do not microwave unopened bag. Add key ingredients for embellishment. Plate and serve. Storage Temperature: Keep Frozen. Shelf Life in Days: 365 days from manufacturing date.